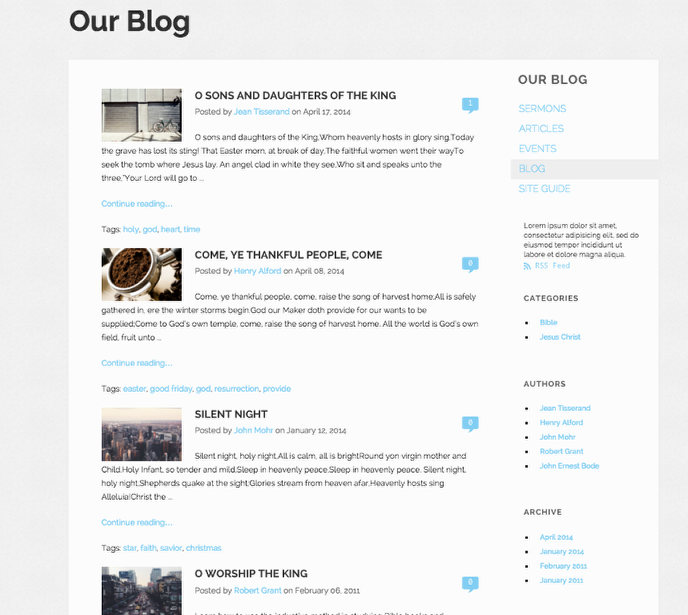 The blog template is setup to display all posts entered into a blog. The blog template is a template that is assigned to a blog; each blog can be viewed by assigning it a link from the Navigation Tree. 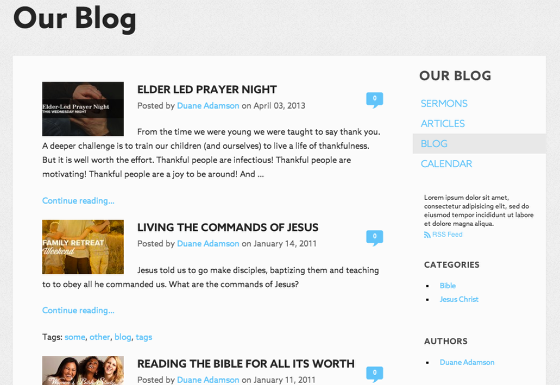 The blog home page will display the 5 most recent posts with the page pagination located underneath the last post. Visitors can filter by Category, Month and Author. 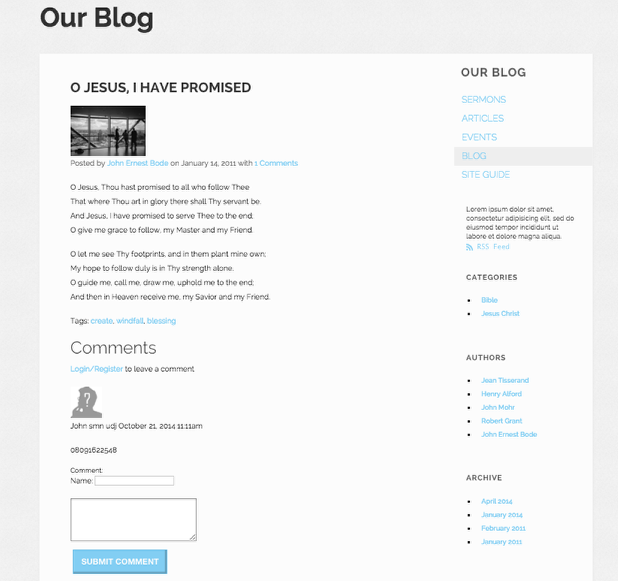 Visitors can login to leave comments for a post from the detail view of the post. Once they log in and leave a comment the comment moderator will be alerted to approve or disapprove the comment.